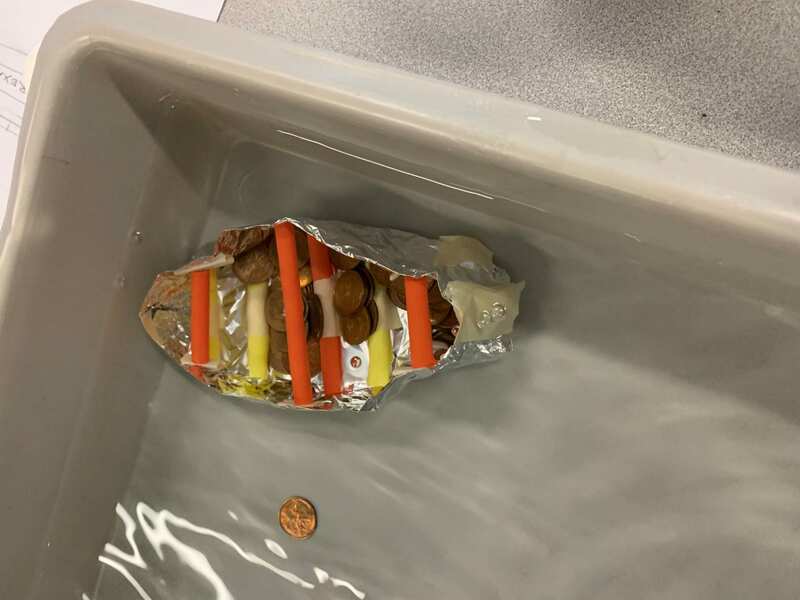 PROBLEM: To make the most stable boat that can hold the most pennies while staying afloat. 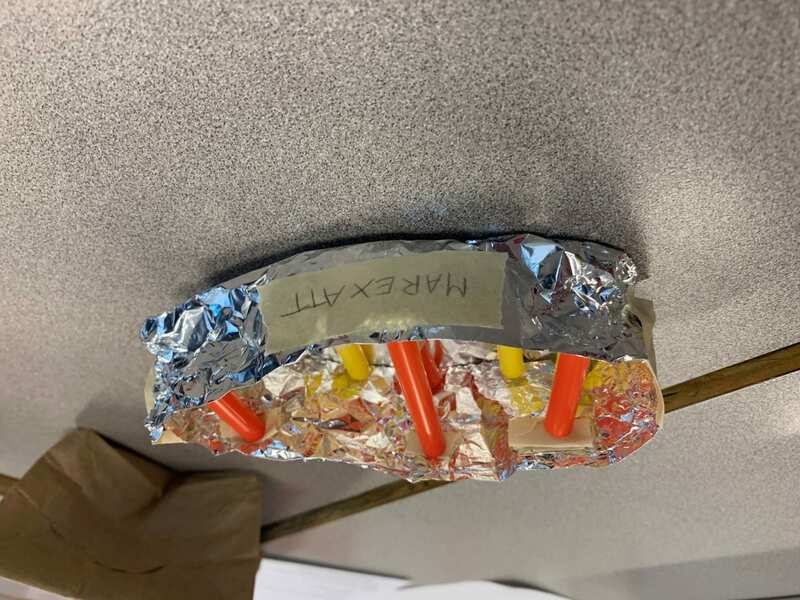 If the boat has a wider bottom with support going across the middle then it will be more successful because the support straws will be evenly distributed. 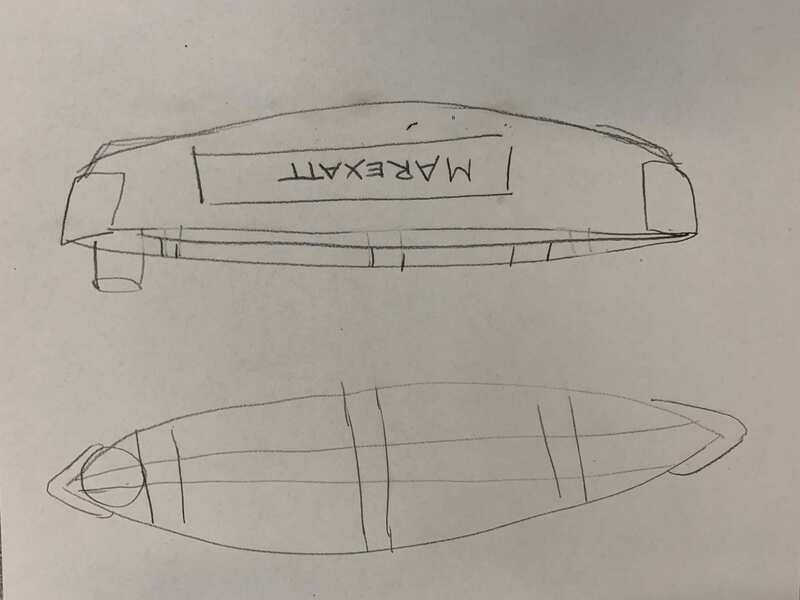 This design was chosen because it was predicted that if the support was wide and evenly distributed across the boat that it would be stronger because the support was all throughout the boat. 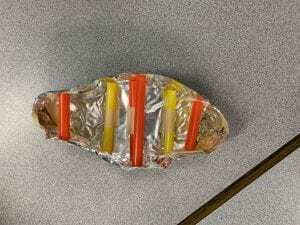 The design ended up changing slightly in the process of building though because instead of having the second straw straight through the middle, the straw was cut into smaller pieces and laid out similarly to the bottom except higher in an effort to prevent the sides of the boat from collapsing in on itself and letting water in. 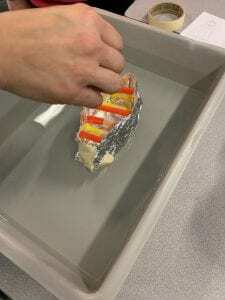 Tape was used at the ends where the tin foil was folded to prevent water from coming in the folded cracks. 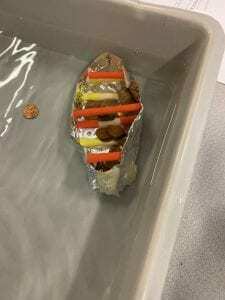 The boat held 34 pennies. 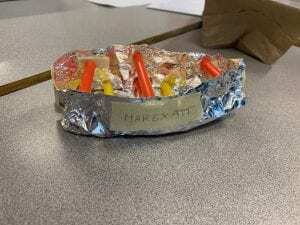 WHAT WOULD YOU KEEP OR CHANGE ON YOUR BOAT DESIGN IF YOU WERE TO DO THIS AGAIN? If another boat was built, I would secure the straw in one of the bottom corners better, but also move the end ones in more so that the tin foil could be folded tighter. I would also secure the straws across the top better. 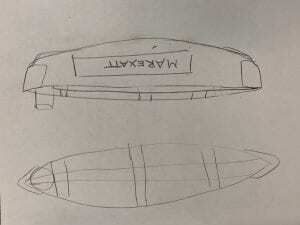 Other than that, I was happy with how it went and I think the design did well. 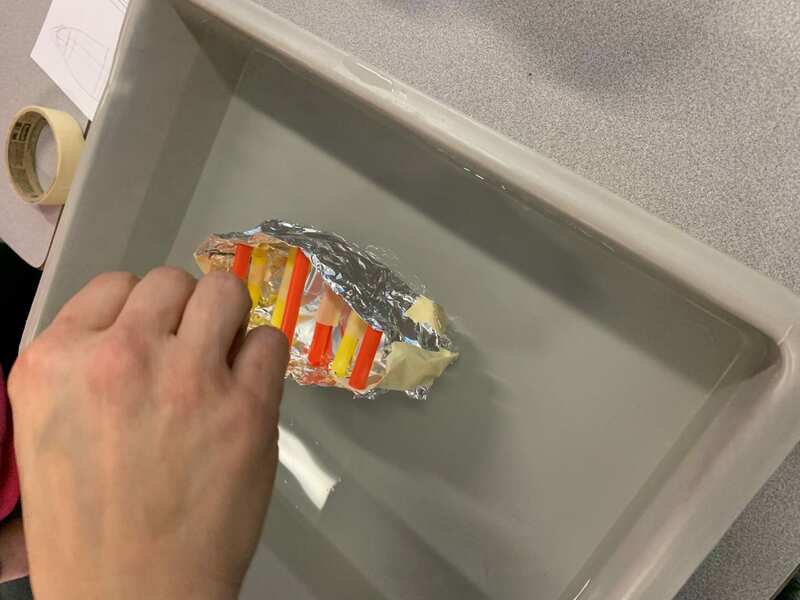 The main reason why the boat sank as soon as did was because there was a tear in the tin foil and although it was taped and small, it wasn’t properly closed, so I would make sure to not tear any of the tin foil even if it seems fixable.